Anson Mount as Black Bolt on Marvel’s Inhumans. The first big piece of Star Trek: Discovery season two info is here in the form of a classic Trek character. 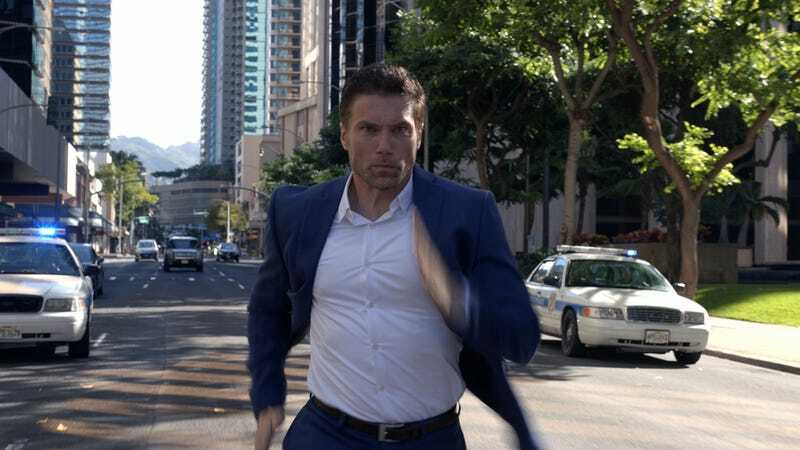 Anson Mount, who recently played Black Bolt on Marvel’s Inhumans, has been cast as Captain Christopher Pike for the CBS All Access show. Pike, of course, was the captain of the Enterprise before James T. Kirk; the character has appeared both in the original series (where he was played by Jeffrey Hunter and Sean Kenney) as well as new movies (played by Bruce Greenwood). Pike was mentioned in the Discovery season one finale, so his arrival isn’t a complete surprise, but it certainly opens up lots of possibilities as to where the show will go in its second season. As for Mount himself, it seems like he’s a fan, as per his own Twitter. Star Trek: Discovery season two will start production later this month but does not yet have a premiere date. We’ve yet to hear official word from ABC as to the fate of Inhumans, but this casting may mean the nail in the coffin for the Marvel series. Read more about Mount and Pike at the official confirmation below.